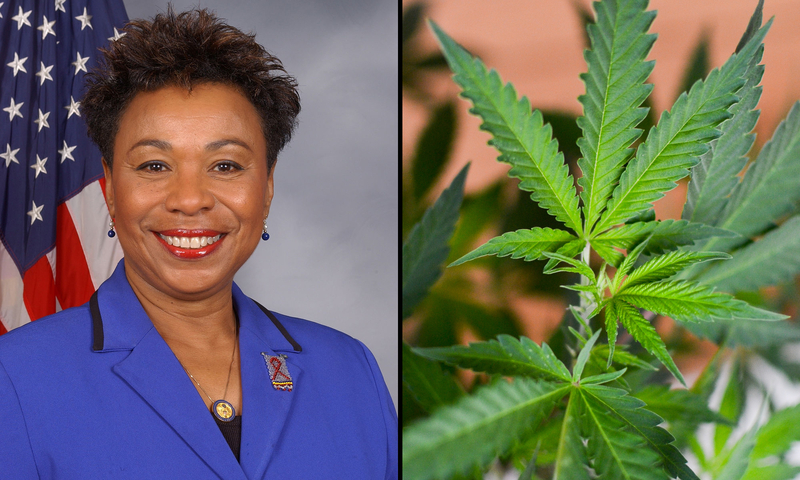 Don’t laugh off marijuana reform in front of Rep. Barbara Lee (D-CA). She has seen the benefits of medical cannabis in her own mother, who used it to treat severe pain. The congresswoman, who recently became the first woman and the first person of color to co-chair the Congressional Cannabis Caucus, spoke about her plans to change federal marijuana laws in an episode of The San Francisco Chronicle’s podcast “It’s All Political” that was released on Tuesday. Lee said she’s been working on cannabis reform “for many many, many, many years from a variety of standpoints,” and it started with a personal experience. Her late mother “had very difficult problems with her knees,” she said. From there, Lee learned about all the different ways other patients were turning to cannabis as an alternative treatment for various ails. She also went on to became a vocal proponent of reform because of the criminal justice harms caused by prohibition, particularly for minorities. What would Lee say to someone who dismisses marijuana reform as a silly issue, the Chronicle asked? Lee also said she’d try to appeal to naysayers. At the end of the day, reform efforts have largely focused on upholding the rights of states to set their own marijuana policies without fear of federal interference. Lee has sponsored numerous cannabis reform proposals in Congress, including the House version of the Marijuana Justice Act, which would deschedule cannabis and withhold funding from states with discriminatory arrest and incarceration rates, as well as a bill to prevent federal agencies from spending money to enforce prohibition against people following state legalization laws. Photo element courtesy of Philip Steffan.